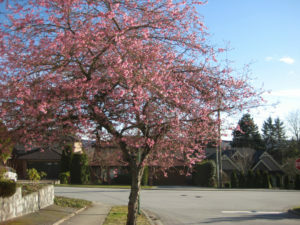 Whitcomb cherry trees may be done in the West-End, but they are in full bloom everywhere else, including at Ayshire Drive in Burnaby. Deep pink, Whitcomb cherry blossoms are stunning on a sunny day, especially with a blue sky in the background. The bees are happy! Visit this location within seven days to capture the flowers at their best, or seven to ten days to be showered with petals. 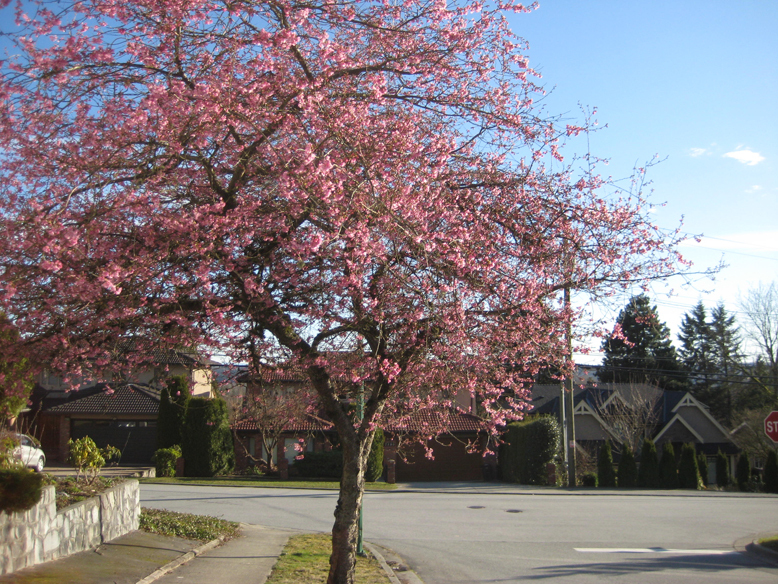 Check the VCBF neighborhoud map to find Whitcomb cherry trees near you. You might also like: pictures of this location in March 2016 and February 2016.